(Newser) – The suburban Chicago house where Cameron killed his dad's Ferrari in Ferris Bueller's Day Off is on a list of endangered Illinois landmarks, the Chicago Tribune reports. 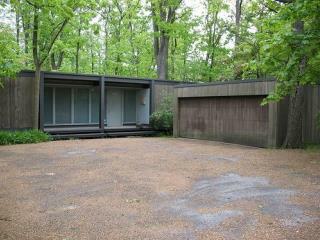 The Highland Park home is on the market for $2.3 million and is at risk of being torn down. The preservation group Landmarks Illinois says it hopes a public outcry will save the house. Other homes on the list include three designed by Frank Lloyd Wright, one in Chicago's Austin neighborhood and the others in the suburbs of Glencoe and Lake Bluff. your screen name Wreaks "Douchebag". Being in Obamacago, its owner was probably taxed to death and he just walked away from it rather than continue to be bled to death by parasites.